FindItMore | The signs and symptoms of Post-traumatic stress disorder (PTSD) have been with us for years, with slight changes in the way we name them. Some call it ‘shell-shocked,’ while some give it the term “battle fatigue.” Back in the days, this situation was used to describe veterans who come back from the war but couldn’t forget the horror for the rest of their lives. 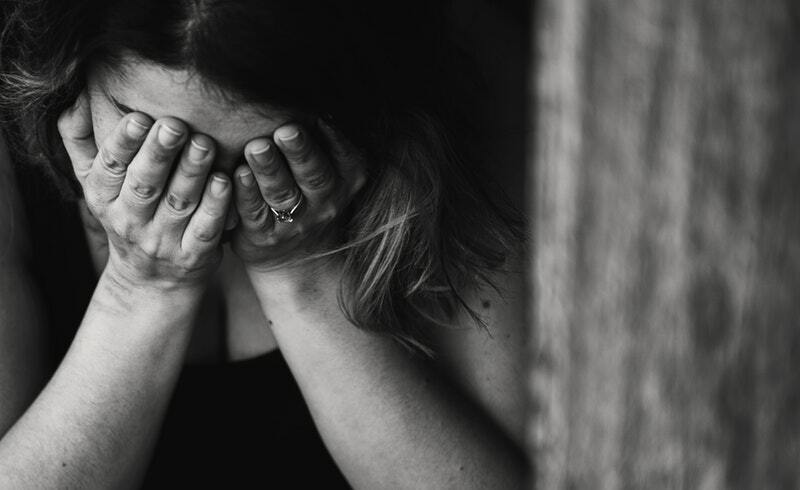 Today, the umbrella term ‘PTSD’ is used to describe the condition of people who have faced an intense trauma in their life, the repercussions of which they can not avoid. Anxiety during PTSD is only one of the things. First-time mothers (FTM) are found to be more susceptible to this condition because just like Post-Partum Depression (PPD), the process of labor isn’t easy for the first-time moms. PTSD affects nine percent of postpartum women, according to the Postpartum Support International. When a soldier returns from war, their mind and body are in a state of deep shock. This trauma comes in the way of leading a happy and peaceful life. Similarly, new mothers are unable to comprehend that they are in the comfort of their home and have securely delivered a baby. Sarah Allevatocould not go to sleep after the birth of her baby boy. She feared something might hurt her newborn. She would keep waking at her eyes remained fixed at her son. She would often panic and fear that a deadly infection might hurt her child. This was not PPD. It was a sign of post-traumatic stress disorder. On the other hand, there are others who have undergone the turmoil of a sexual assault or abuse from a group of people. Such state of violence leads to the feeling of fright, extreme nervousness,and deep trauma. If you have undergone a tragedy like this in your life, don’t hold back or call yourself out for feeling miserable. There are people out there who are waiting to help you fight with the trauma and bring happiness back into your life. Never tell yourself or any other survivor that ‘’it’ll get better with time”. Instead, do something about it. Moreover, it is not necessary to develop PTSD after undergoing a life-threatening situation. Many people get it by listening to a close friend or relative who underwent such tragedy, like a mother whose child suffered in some way. Flashback of events that lead to labor often triggers the PTSD in young mothers. Traumatic events of the past may also cause PTSD to postpartum FTMs. Difficult labor, unsupportive medical staff,and constant medical intervention trigger the fight or flight response in new moms. Flashbacks are one of the major signs of PTSD. You are walking down the street,and suddenly the street is a narrow alley where you were walking the night someone attacked you. These are flashbacks of a painful memory,and you must do something about them. Flashbacks are like unwanted memory flashes that interfere with your happiness. These ‘re-experiencing symptoms’ can make a person feel like they are back in the pit of hopelessness again. These flashbacks make a person feel like they have to save themselves and the instinct take over. This is a symptom you should not ignore at any cost. Quite often, situations of deep despair meddle with the sleep schedule. Sarah, a 28-year mother from Nebraska, couldn’t sleep because of this constant sadness and helplessness. She envied her friend’s motherhood and that perfect postcard photo. Nightmares arose, which pushed her back in an endless loop of recalling the trauma of the premature birth of her daughter. Nightmares in PTSD are often recurring, fresh with the memory of the trauma that makes you sleepless. It is very common for people with PTSD to have sleep disorders. Sleeping disorders are common in mentally exhausting illnesses, but PTSD stands out due to the nightmares. Certain words, scents or situations can lead to these dreams. The person undergoing PTSD prefers that others ‘leave me alone’. Otherwise, they will avoid going to certain places and meeting certain people because it brings back painful memories. Sarah expected the birth of her baby just like the prep classes. Instead, her daughter was taken away the moment she was born,and the husband rushed after the daughter to check up on her. In other cases,if someone was a victim of childhood abuse, they will never trust a relative again and avoid meeting people of that gender at all costs. Small noises or voices can startle a person with PTSD. This symptom is also called hyperarousal. People with the condition will also have an exaggerated reaction to surprise or a startling situation. A voice or smell that leads them back to the trauma is going to make them take actions that could shield them from the pain. New mothers might snap at relatives or friends if they are mishandling the baby or getting too close. In all the cases, Startling easily is one of the defining features of PTSD. Before trauma, even a person with anxiety won’t react swiftly to small disturbances. People with PTSD often feel panicked. Their heartbeat soars, they get sweaty,and the vision gets blurry. Many people hear a ringing in their ears or faint on the spot. Some people even become nauseous in response to the panic and vomit due to the trigger.Some FTMs will resort to self-blame and rumination as a cognitive coping mechanism, resulting in extreme panic. Braintest review found that Mild Cognitive Impairment can arise with such situations, so one should indulge in healthy activities and clubs. Having long-term PTSD can lead to situations like diabetes, heart disease,and immune disorders. Everyone with chronic pain does not have PTSD, but many people have this problem. Childbirth is followed by medical procedures that are too much to bear for some FTMs. Scientists don’t fully understand the relationship, but a mother who reports chronic pain is having a hard time forgetting about childbirth. If you are also undergoing such a situation where you keep feeling pain, consult a doctor to check for PTSD. The trauma of pain itself causes chronic pain, but many people brush it off as a sign of aging or other reasons. If the trauma caused a physical injury, the chronic pain might last in the form of body aches, headaches,and muscle fatigue. There may be neurobiological pathways, but the state has not been confirmed scientifically. Every mother who is showing these symptoms does not have PTSD, but you need a professional to clear the situation. If you or a loved one faces the symptoms mentioned above, you should read up more on the signs and causes of PTSD. Symptoms start arising a few weeks after the incident,and if they last more than a month, it can be PTSD. In some people, good company and a strong support system help to blur out the traumatic memories,and they never look back at the painful memory to get hurt. Your brain and physical activity are also linked together. Have you faced a symptom that is not on this list? Help us update the list by leaving the remarks in the comments section.